After another hectic, but Alhamdulillah blessed period of travel, I have found some time to continue posts on our rihla to Turkey. 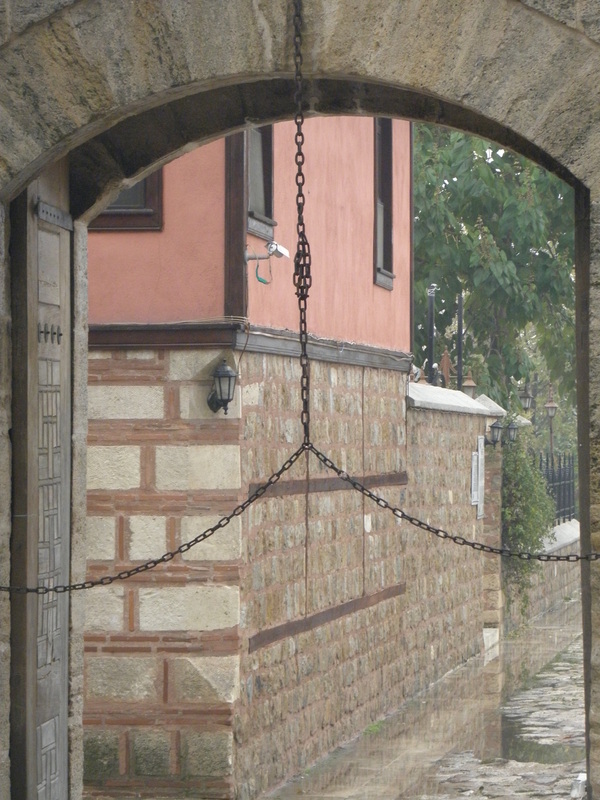 We made a day trip out to Ederne, a city almost at the border between Turkey, Bulgaria and Greece. 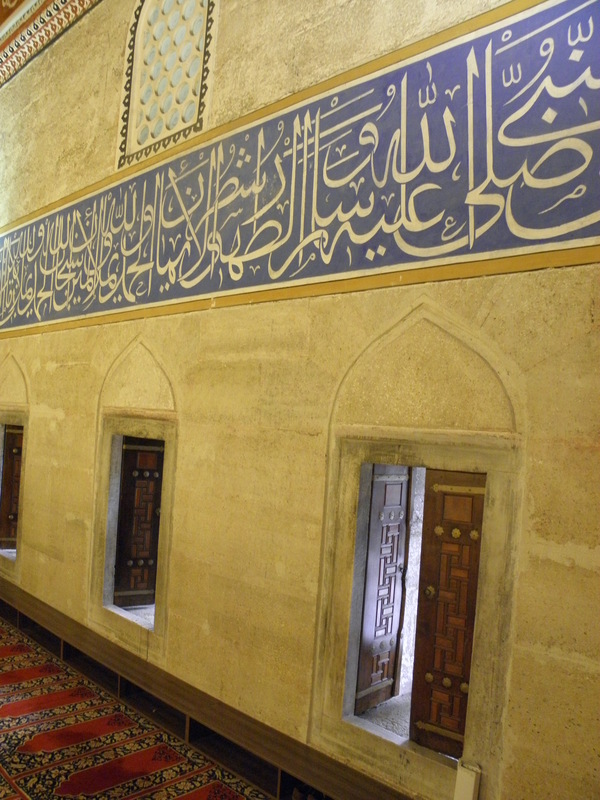 It used to be the capital of the Ottoman empire before the ‘fatah’ (=opening) of Constantinopole or Istanbul. After Constantinopole became a part of the Ottoman empire, Ederne functioned as a sort of co-capital. The fact that Ederne is located to the north of Constantinopole is indicative of the political, strategic and military reasons the Ottomans felt they needed to take that city, as it would literally have been surrounded by Ottaman territory by that time. But the military-political reasons for empire building are beyond the scope of this blog and I can’t say more so let me continue to tell you about the main reason we went to Ederne. 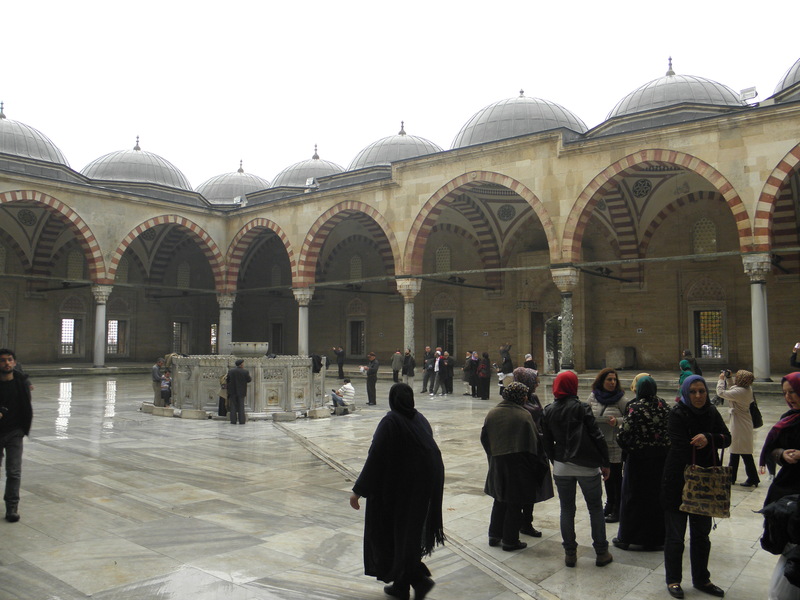 We went there to visit a masjid (=mosque) called the Selimiya camii. 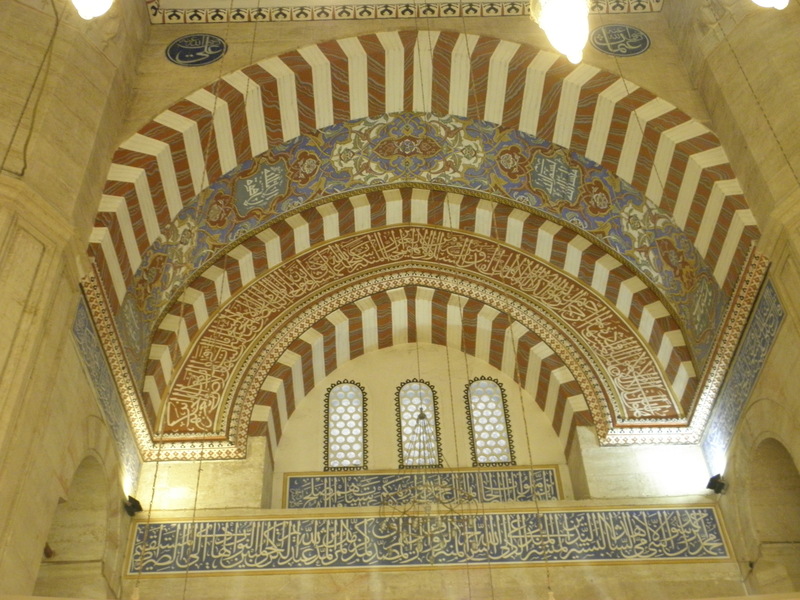 Camii is pronounced ‘jamii’ and is the Turkish word for mosque. It is obviously linguistically linked to the word ‘jama’ah’ which in Arabic means ‘gathering/group/congregation’. Jama’ah is the word that ‘masjid’ (Arabic for mosque) is derived from, meaning it is the place of gathering. And jama’ah is also the word that the word for the Friday salah, which is ‘jumu’ah’ comes from and also the word in Arabic for Friday which is ‘yaum al-jumuah’ (the day of the gathering) or simply ‘jumuah’ for short. Enough of my fascination with Arabic linguistics! But it is such a profoundly beautiful and meaningful language and understanding it opens up layer upon layer of meaning, that one cannot but write of it. Subhahanallaah (=glory be to God)! for the creation of language, the vehicle of communication that exalted the human over all other animals capable of making sound. Fitting to the above, we wanted to attend the Friday prayer at the Selimiya camii, and mashaAllah (=by the grace of God) got there in time to do so. 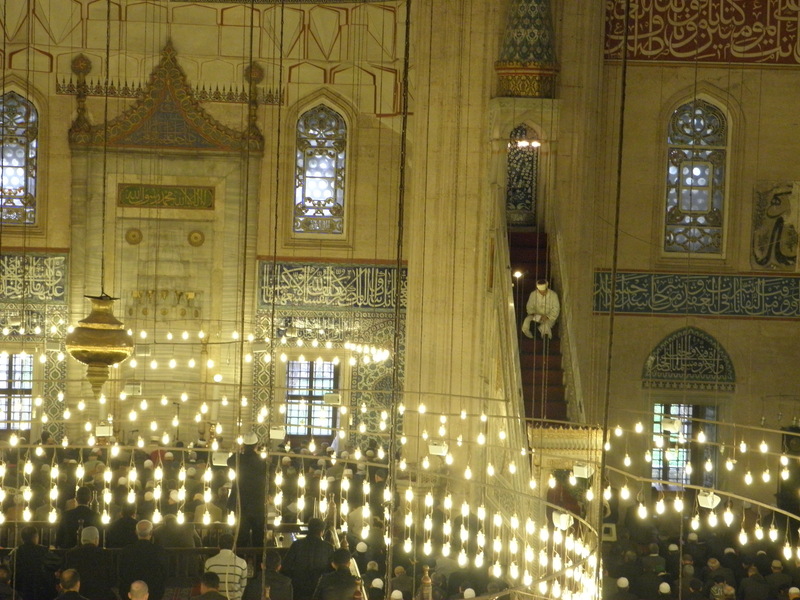 The Selimiya (derived from the Arabic root word ‘salam’ which means peace) camii is the work that Mimar Sinan, the great Ottoman architect, called his masterpiece, though his more famous work is the Sulaimaniya camii in Istanbul. 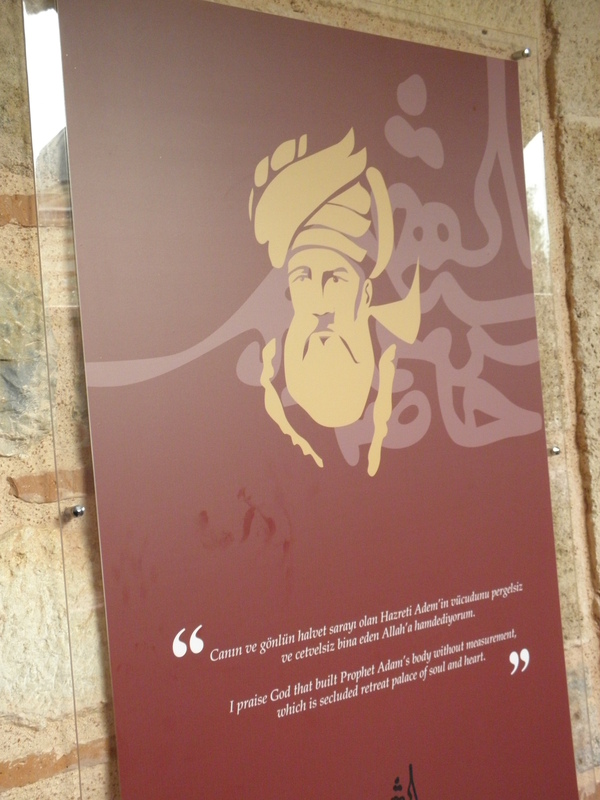 Mimar Sinan is considered to be in the league of Leonardo Da Vinci and Michaelangelo for greatness, yet it is sad that until I went on this tour I had never heard his name. Yet another casualty of my colonial education and the poorer I have been for not knowing! I wonder at the so many millions of us who have only been taught a single-minded version of world history, how much we have to learn. But I digress. 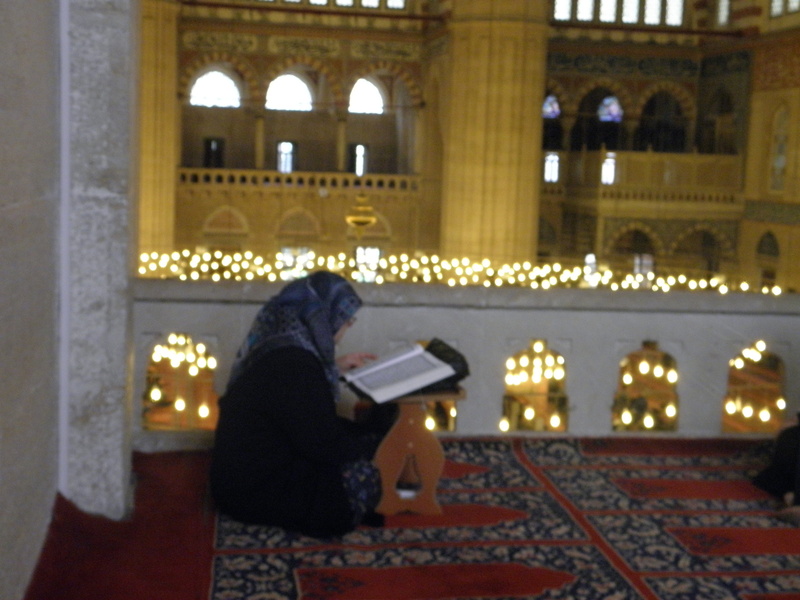 Indeed when we drove up to the camii and then walked in…Subhahanallah! words fail me. So pictures below. I will include captions with the pictures, please do read them. 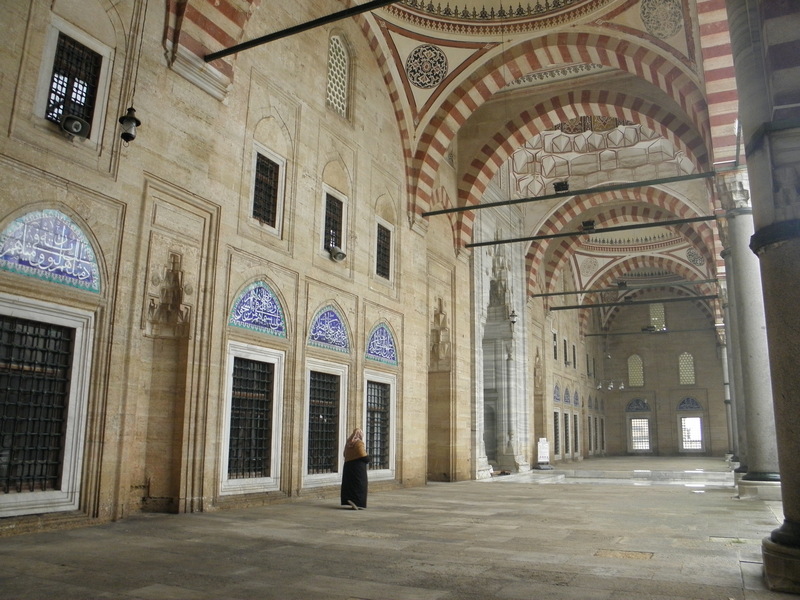 One of the reasons this work is to be considered a masterpiece is that Mimar Sinan achieved the effect of a ‘floating dome’, by moving the supporting columns of the dome to the walls and adding four more columns. 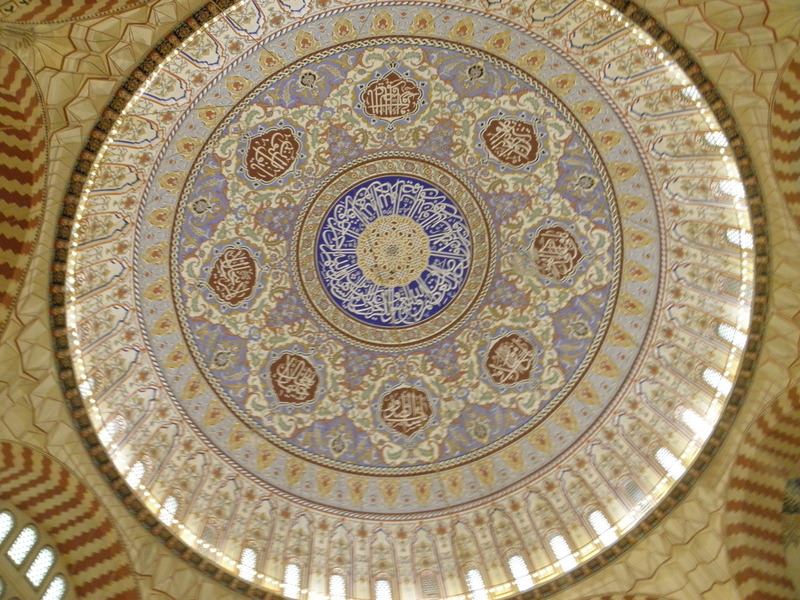 You really feel as you walk into the mosque that you are walking under this magnificent dome that though you know it is a huge structure, it feels as if it is as light as a feather and is only floating above you…reminding you of the heavens above. So much more to say, so I will try to do so below. But to end this the feeling of reverence in the whole structure is indescribable. How I miss being there. Looking at the masjid as we drove up to it. 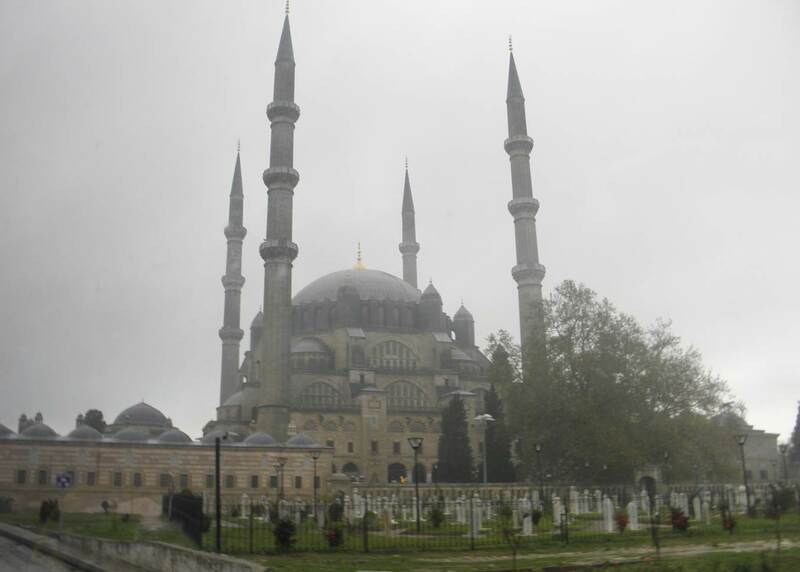 Something very ‘ascending’ about the proportions of the domes to each other and to the minarets. 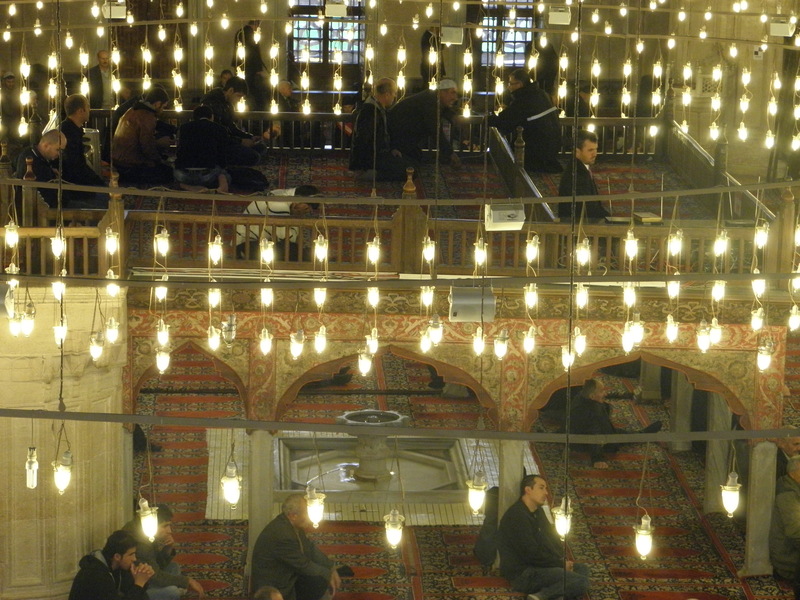 Also most of the camii in Turkey had the cematery located in front, visible through the windows, a reminder of the eternal life to come even when one is worshiping inside an opulent and seemingly unperishable structure. Here is a side gate we entered by. All the gates have on them these chains, that force the entree to bend his head when walking in. It also forces the mounted one to dismount. This way it is ensured all who enter, enter humbly and not with their head held high. Also all Sultans and the like could only walk, not ride, in. 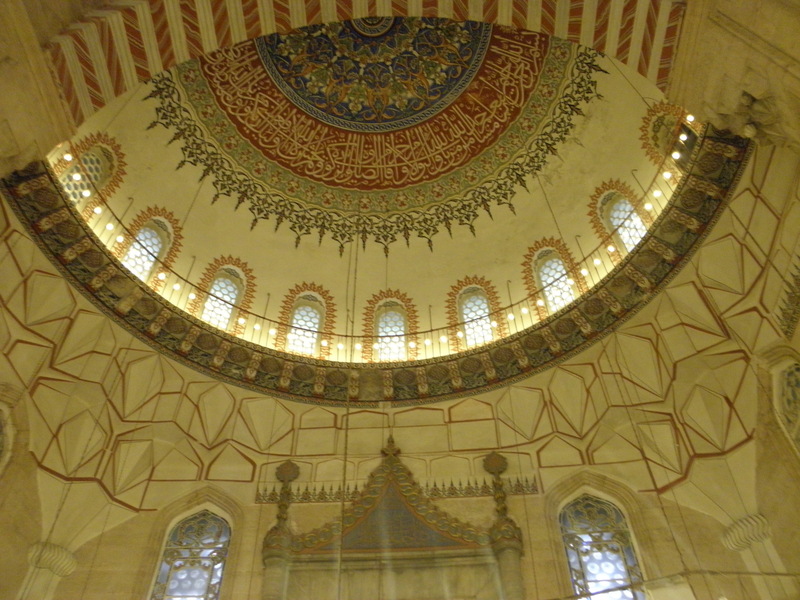 Looking up from just where the mihrab (prayer niche) is. 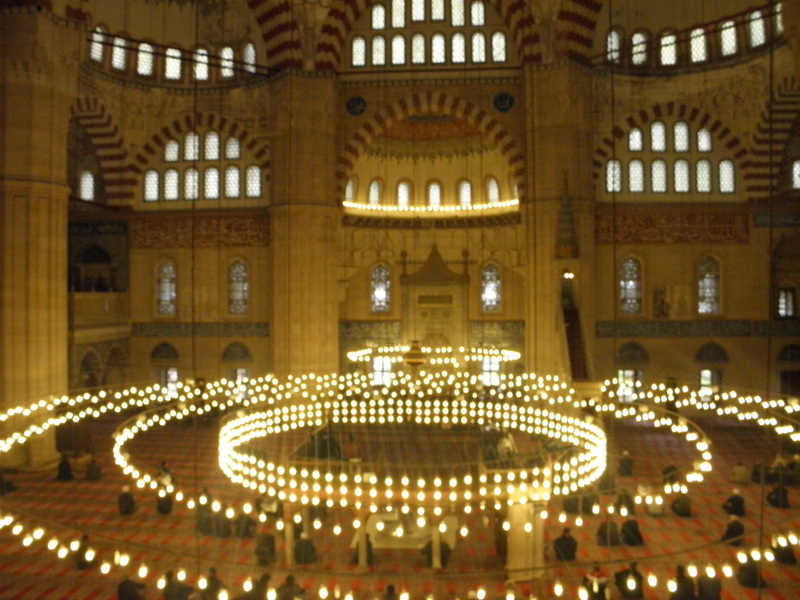 So much light…Subhahanallah! – O Allah grant him the highest of heaven and ease in the grave! – May Allah eternally bless his soul! I am truly humbled to witness the efforts of such a true and pure human being, elevated by God for his truthfulness to himself, and the fruit of that for generations to enjoy.